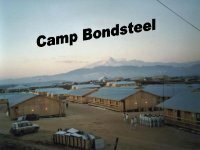 The Bondsteel PX offers soldiers the latest CDs, DVDs, electronics, souvenirs, clothing, uniforms and everything to make your stay in Kosovo comfortable. 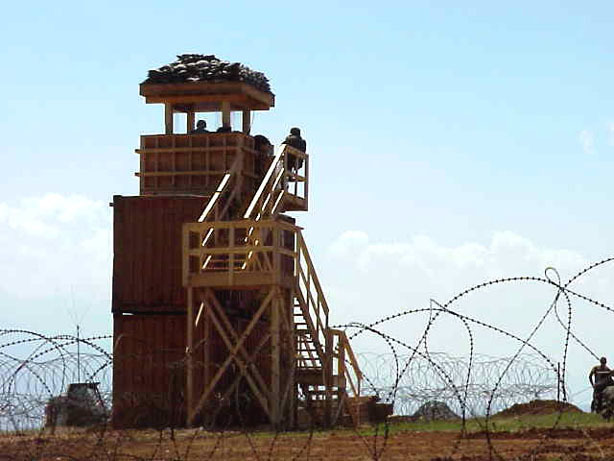 With two stories of merchandise, the PX draws lots of multinational soldiers from throughout Kosovo. Also located at CBS are Burger King, Anthony's Pizza and a Cappuccino bar. 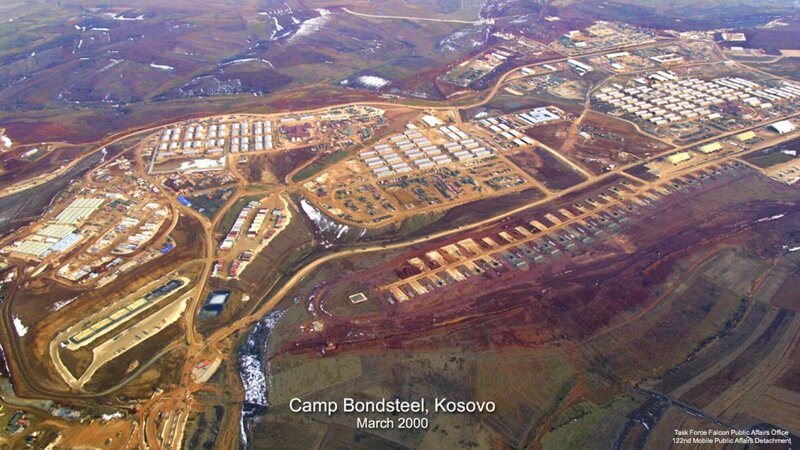 US forces entered Kosovo in June 1999 following NATO Operation Allied Force. Since then, military officials worked to rapidly improve service members' quality of life. 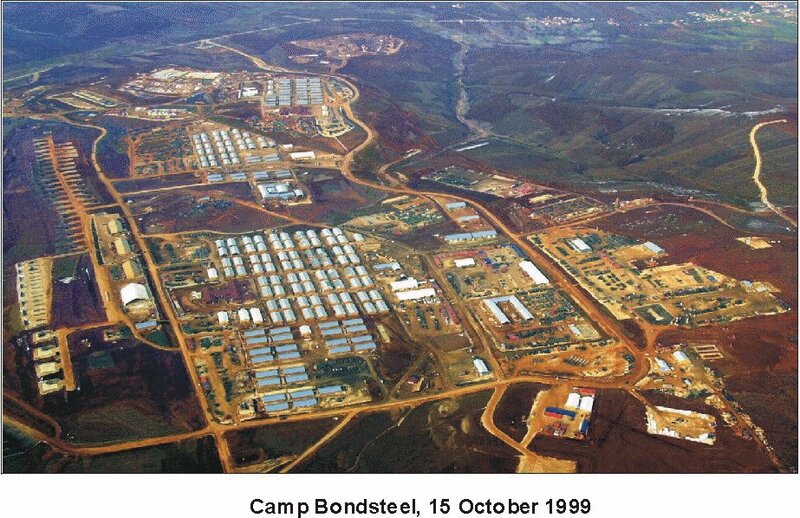 At the outset, planners wanted to use the lessons learned in Bosnia and convinced decision makers to reach base-camp "end state" as quickly as possible. 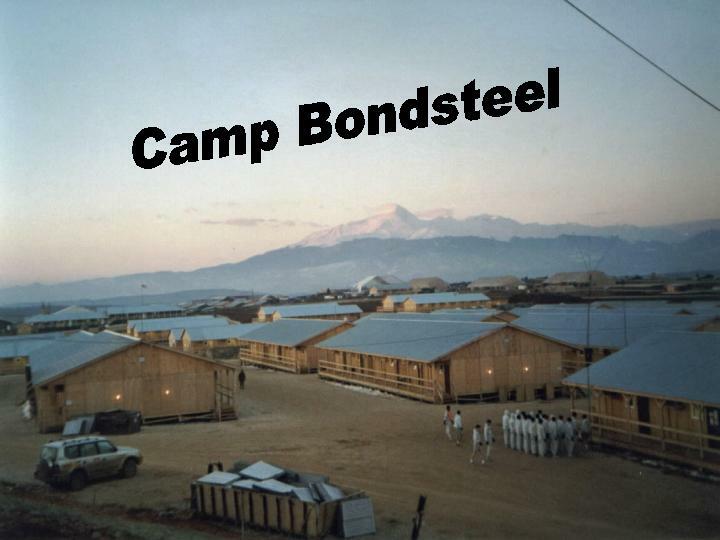 Because of uncertainty about the Bosnian mission's duration, when the Army moved across the Sava River into Bosnia in 1995, soldiers were housed first in tents - in the winter! Only years later were they moved to semipermanent Southeast Asia (SEA) huts (a theater-of-operations design that first made its debut in Vietnam) on base camps. 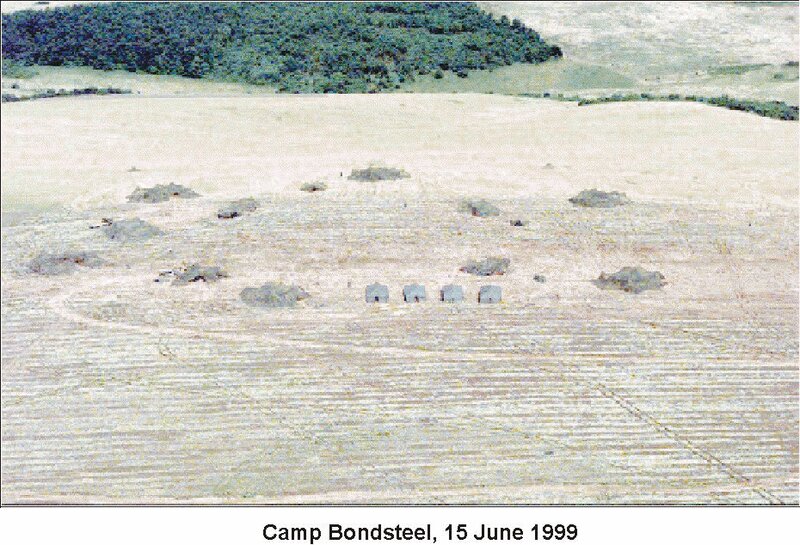 Engineer planners knew it was much more cost effective to forego this gradual approach in Kosovo in favor of building end-state SEA huts right away, and operational commanders agreed with this approach. 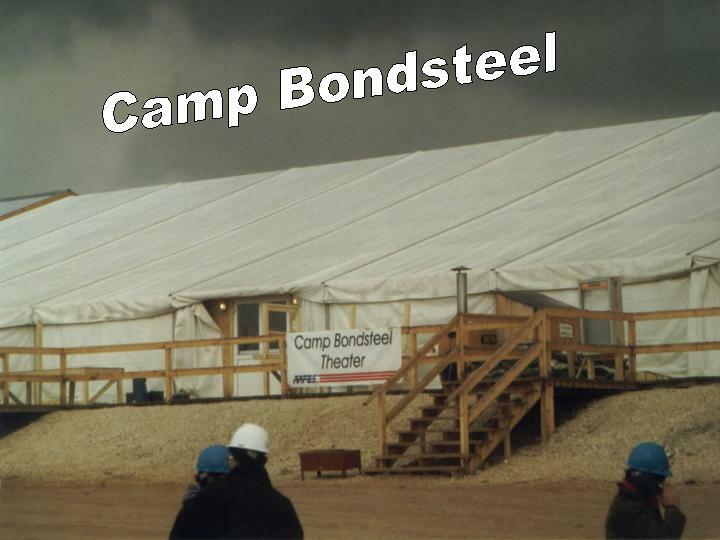 Shortly after site preparation began at Camp Bondsteel, a 36-inch natural-gas pipeline was discovered under the camp - right where we wanted to make a 3-foot cut! 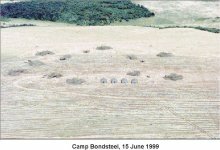 It was easier to redesign the camp around the pipeline than dig it out, and that's why today a "no-construction" strip of land runs northwest to southeast among the SEA huts. 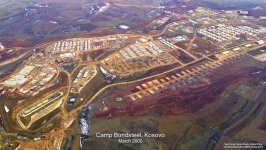 The total absence of civilian sewage-treatment facilities in Kosovo forced early diversion of critical horizontal equipment to build sewage lagoons. This project is environmentally critical since there were no sewage-treatment plants in Kosovo, and local people (including those serving military units) emptied raw sewage into streams. The lagoon is a technically challenging mission that requires all four of the 200- by 300-meter areas to have depth deviations from final design grade of no more than 3 inches. 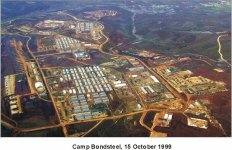 Led by the 535th and 568th Engineer Companies (CSE), the first area completed has a maximum deviation of only two inches across its entire 60,000-square-meter area.